The Test of English as a Foreign Language, (commonly known as TOEFL), is a test that universities and colleges use to gauge a student’s ability and preparedness to perform at a functional level in an English-speaking classroom. It is widely used for students who have learned English as a second language to ensure they can actively participate in an American classroom. Taking this exam is not something to be taken lightly. It is, for many students, a defining moment in one’s ability to be educated in the United States. The TOEFL Test gives test takers an advantage, as it is described as the most widely accepted, most popular and convenient choice. The TOEFL is a great choice for students who would like to study in the United States. 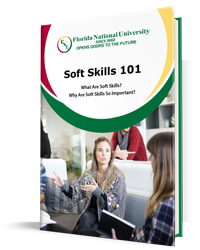 According to Florida National University’s (FNU) policy, students must demonstrate English proficiency when enrolling in a career program. Who Should Take the TOEFL Test? The TOEFL is designed for anyone who wishes to enroll in the United States higher educational system who speaks any language other than English as their first language. It is critical to be prepared and know what to expect when taking this test. Cramming for this test is not an option—and trying to do so will not be a successful venture. This test is a lengthy exam that is designed to measure a student’s true understanding of the English language. Students who are interested should remain focused while studying. The internet is a helpful source to read and comprehend text in its context. When practicing listening skills, watching television shows and movies without subtitles is a resourceful way to immerse oneself in the language. In this case, it is impossible to engage in the dialogue; however, observing the actor’s reaction to what is being said is an inexpensive way to begin understanding the context of certain words, phrases, and idioms—without requiring others’ time. Keep in mind that languages are best learned through immersion—especially when they are spoken. Students should make it a personal goal to speak English each day, whether it is with another person who understands the language or not. Frequently speaking another language out loud aids in the learning process developing a healthy habit to actively communicate in English rather than one’s own first language. Practicing will help prepare students to be more comfortable with the language overall, which should lead to a better score in the long run. Practice exams are critical to a student’s success when studying for the TOEFL. These will provide students with specific feedback regarding which areas within the English language they should study further in addition to the areas that need improvement. Just like the SAT that American high school students typically take, this test is demanding and lengthy. Taking a practice exam will strengthen students’ mental stamina to endure a lengthy test while also offering an idea of what to expect. Familiarity with the test can also be beneficial toward the result of better test scores, especially when students take the practice test scores seriously, academically acknowledging their weak spots and work to improve on them. FNU has partnered with Ed4Online to offer an online program that prepares students to take the exam. The TOEFL Exam Prep Course is packed with everything you need to succeed on the TOEFL test. Students are informed as to what to expect on the test and how the test is scored. Additionally, students will receive hundreds of authentic test questions to study for practice. Students also receive a textbook, a CD-ROM, and access to 3 full-length authentic TOEFL practice tests online. Many students do not receive a passing grade on the TOEFL the first time around—and this is not a cause for concern. Students who do not pass should not lose the motivation to keep learning. 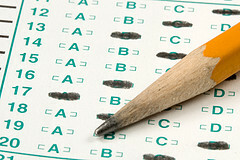 They are encouraged to take the test as many times as possible until they achieve a passing score. If you are ready to prepare for the TOEFL, FNU highly suggests enrolling in the preparation course. To the students who have successfully completed the test, congratulations! Now, it’s time to apply to FNU and enroll in the program of your choice!